New York (TADIAS) – When the Haile-Manas Academy (HMA) opens its doors in Debre Birhan in 2020 it will be be among the top high schools in Ethiopia featuring international-standard curriculum and a brand new educational facility. The private school is co-founded by Lawyer, Mother, Author and Businesswoman Rebecca Haile whose work we first featured in Tadias in 2007 when she published her memoir titled Held at a Distance: My Rediscovery of Ethiopia. Rebecca, who lives in New York City, says she is inspired, like many Ethiopians around the world, by Ethiopia’s new-found optimism and sense of collective civic responsibility ushered in by the new Prime Minister Abiy Ahmed. The official ground-breaking for the Haile-Manas Academy was held three months ago and “guests included government officials, community leaders, representatives from various organizations” as well as Rebecca’s friends and family. 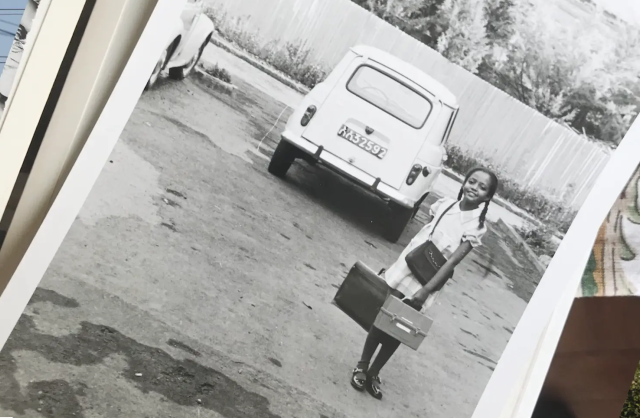 For Rebecca, who is the daughter of Professor Getatchew Haile — one of the foremost experts in the ancient Ethiopian language of Ge’ez — her passion for education come naturally. The Board of Directors of EEI include Rebecca’s sister, world renown academic scientist Dr. Sossina Haile, as well as Former U.S. Ambassador to the African Union and Dean of the Elliott School of International Affairs at George Washington University, Reuben Brigety; Mr. Jean Manas, Chairman of the Board; Dr. Liben Hailu, Chief Technology Officer at Duracell, a Berkshire Hathaway Company; and Ms. Caroline Brown, founder at Brown & Peisch, formerly Partner at Covington & Burling, LLP. HMA Anthem from Haile Manas Academy on Vimeo.